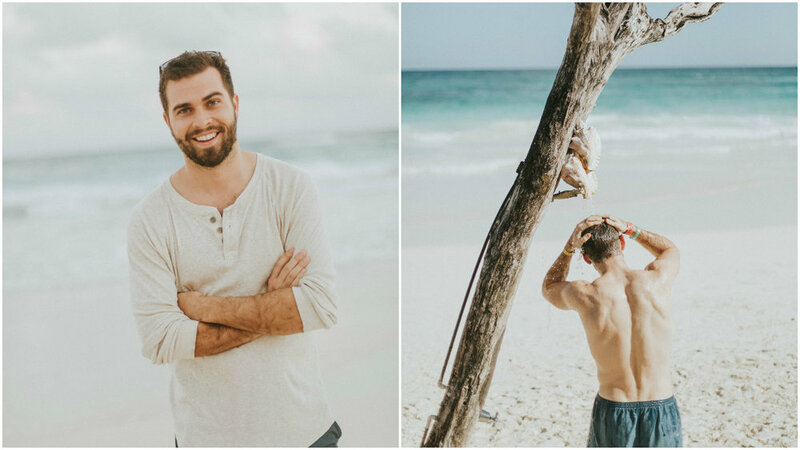 Tulum is truly a dream. Imagine a long strip of white (no but like really white!) sand beachs with crystal clear blue water along the coast of a protected national park and you have Tulum! I first visited Tulum 4 years ago in 2013. 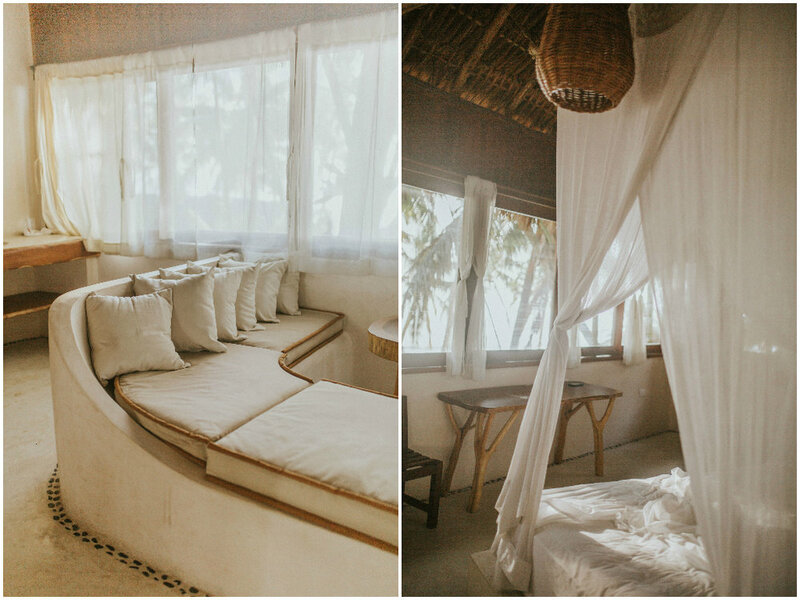 At that time I found Tulum by extensively searching "beach bungalows" -- Really any shack on the beach would have done, but then, ah ha!, I found Tulum. 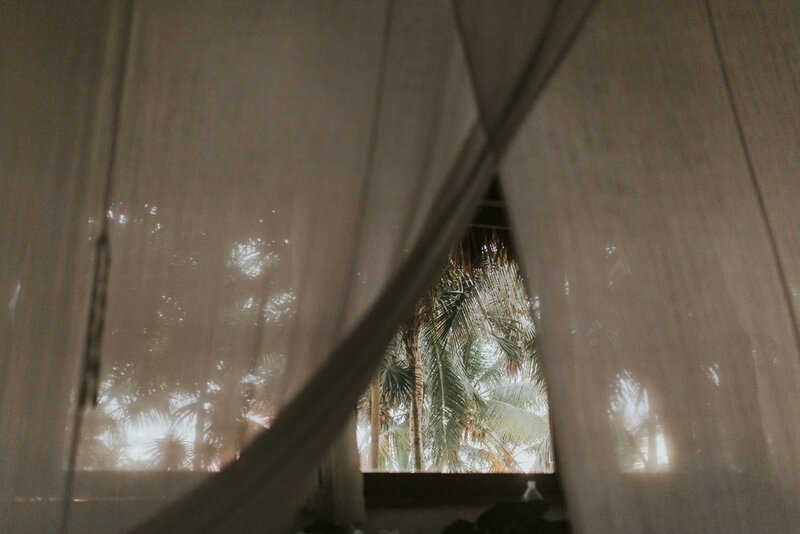 Because the hotels (or bungalows) on the coast of Tulum are built on a national park they are mostly "required" to be eco-friendly meaning (the good ones) run off of solar power and wind energy. The quality eco-resorts only use electricity at night and do not generally have air conditioning. 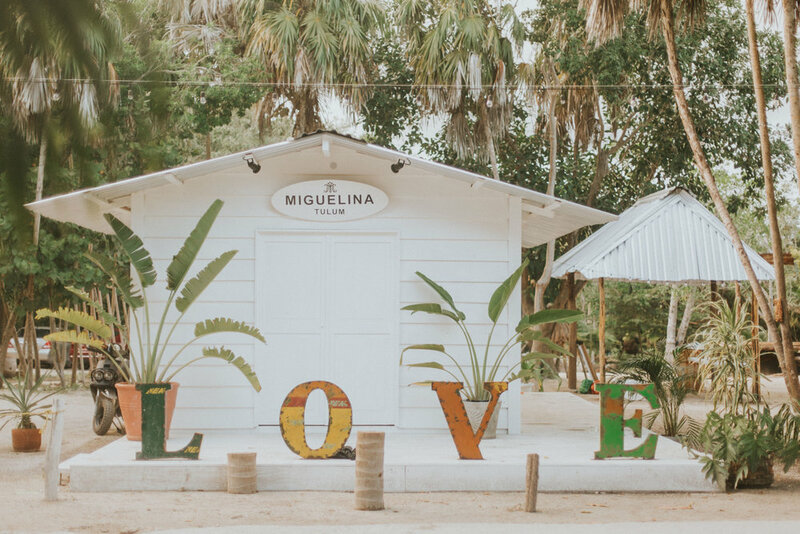 This is the Tulum I came to know and love -- a small, hippy beach town with semi-affordable, eco-friendly beach bungalows. What more could you ask for?? 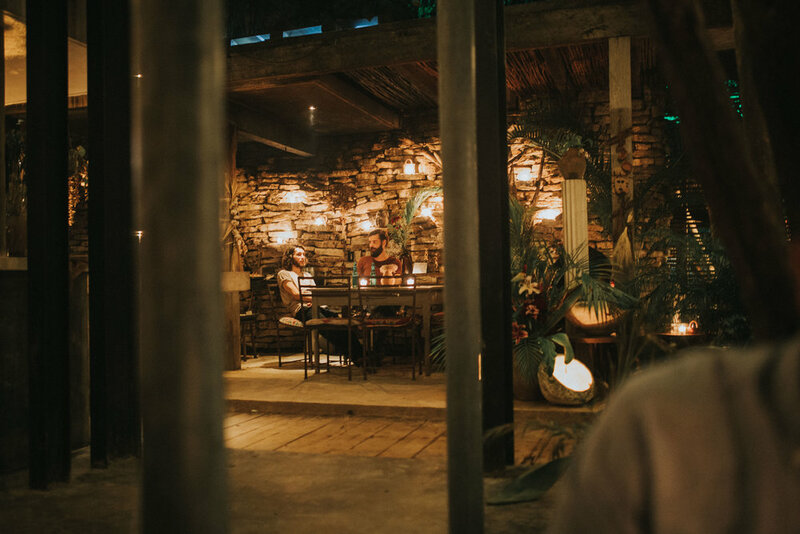 While Tulum maintains its charm and overall bohemian aesthetic, there is something brewing under the surface and the more I explored the more I saw it. Long lines of traffic on the main beach road, a high end Mescal Bar opened by a hip Brooklyn Bar owner, tight leather pants and wide brimmed hats...in the middle of Mexico? Ryan and I even took a short walk along the beach to see the old bungalows we had stayed in a few years ago. 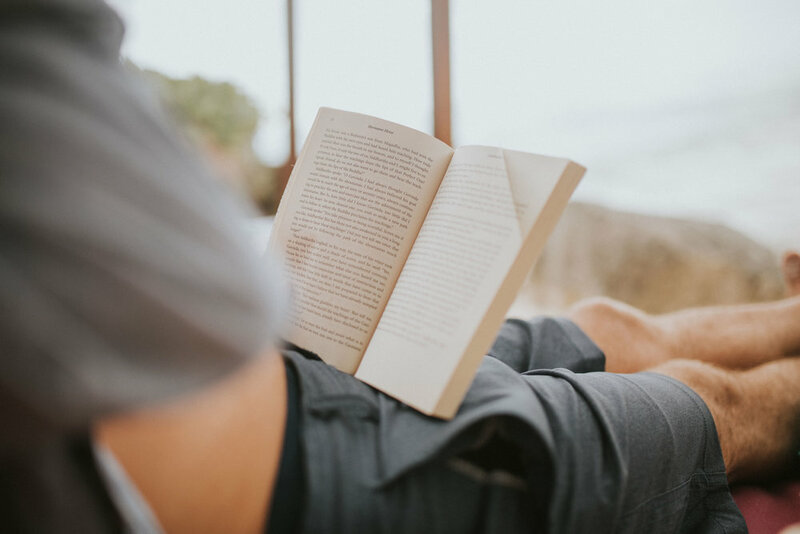 We were dismayed to find posh style bungalows equipped with AC units in each room and a way too tan man in a tiny orange bikini bottom on his ipad. Yes, the hipster gentrification knows no bounds and is in full force in Tulum. If you never knew the old Tulum you may not notice, but the hike in prices and exclusive atmosphere is a little off putting for me. 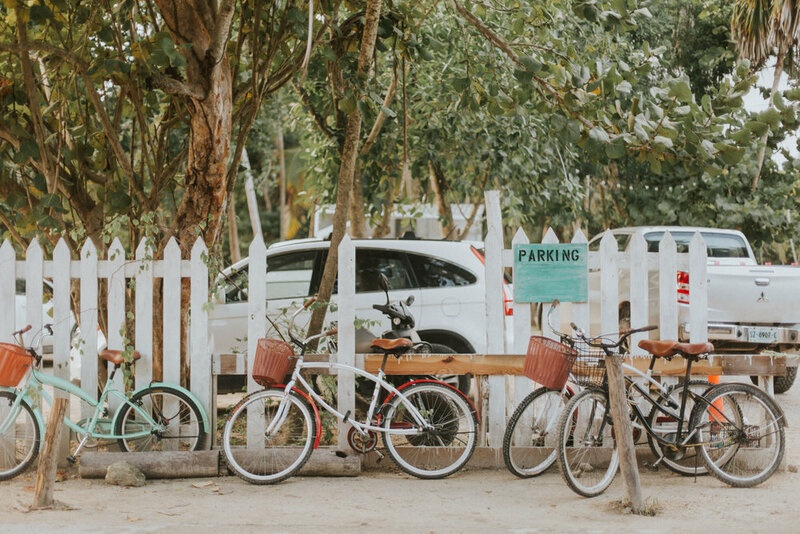 With that said, there are still some amazing places left that not only have the quaint charm of the old Tulum, but more importantly, respect the environment. As I would suggest with any destination, do your research and support places that are are doing their part for the community and environment. 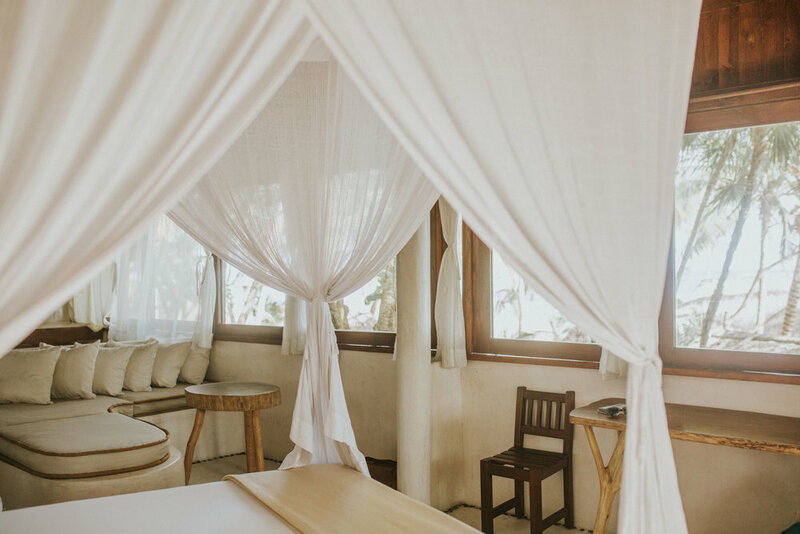 Where to stay: Diamante K (featured below) - The first of 8 hotels on the Tulum coast, Diamante still maintains its commitment to an eco-friendly resort, has its own private beach, and an unbeatable atmosphere. We also stayed at Hostel Che Babel which is a great spot to meet people and party! What to do: Beach all day and dinner in town is a perfect day for me. 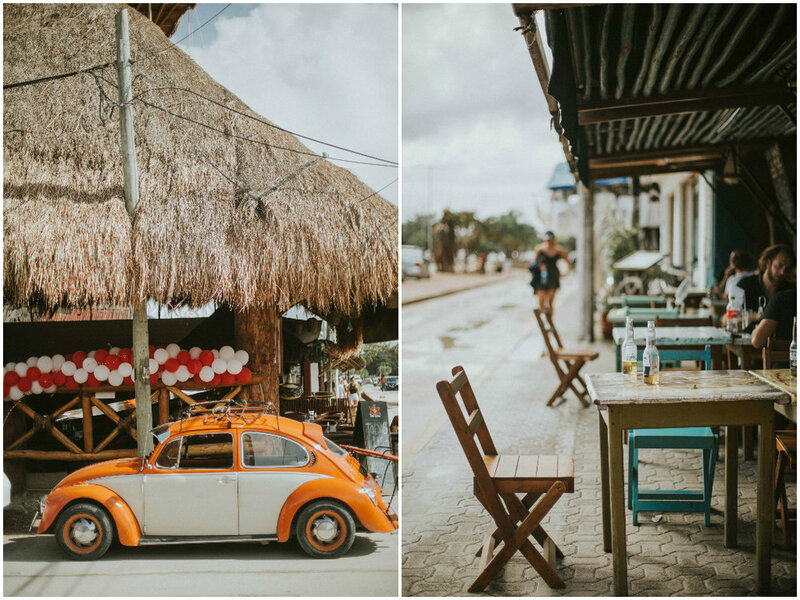 The town of Tulum (15mins from the beach) has whatever culture is left of the town. You can find fresh, hand made quesadillas, live music, and damn good drinks -- all at non-crazy hipster prices. This is also where the backpacker scene is, so if you want to meet people and bailar, do it here! Where to eat: Ok, ok..I guess doing at least one nice dinner on the beach is worth it, but be ready for long lines and high prices. If you get there early it is beautiful! We ate at a Charly's Vegan Tacos, but just pick anything you want along the coast and you can't go wrong.